Home » Blog » First Friday Is Going To Be So Sweet! First Friday Is Going To Be So Sweet! 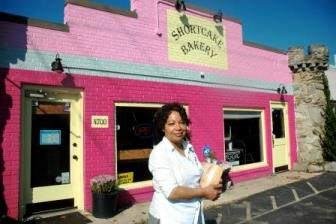 This week we’ll be welcoming our friends from Shortcake Bakery to our Forklift First Friday event! So, on top of our favorite pop-up bar, by Town Center Market, and our fantastic food truck, Urban Bumpkin BBQ, we’ll also have sweet, gooey, holiday treats for our gusts to enjoy. Stop on by the Shortcake table for some yummy cookies and cupcakes, they’re a perfect desert or evening snack!